It’s not a secret that travel agents are busy round-the-clock, helping their clients find the best tours at reasonable cost. This obviously takes much effort and time, preventing business owners from getting involved into DIY website development. At the same time, there is no sense to hire web masters to design the websites of travel agencies as this is quite an expensive solution. Mind that even if you decide to give it a try and hire someone to develop a website for you, you won’t be able to update and manage the project yourself without knowing the basics of the web design process. The only reasonable solution here is to use website builders – simple, easy-to-use and affordable web design tools that will let you create a website with no coding or experience required. Travel agency websites launched with website builders come with a broad spectrum of niche-focused characteristics and features that will have positive effect upon their functionality and further promotion. Apart from providing the most important info about your company, achievements, services, tours and prices, a travel agency website will also be the primary destination for users willing to find out your business updates, burning offers (this matters a lot for tourists), best deals, discounts, news, updates and other related facts they won’t be able to find out anywhere else. 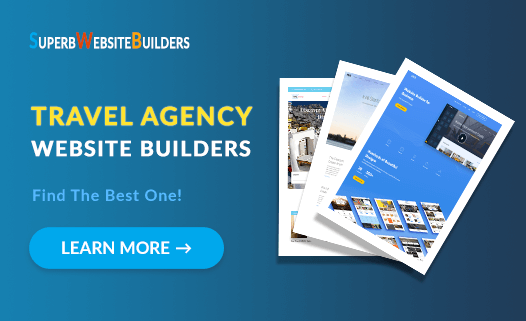 For those, who are looking for the best travel agency website builders, we have compiled a detailed comparison of the most popular services and their characteristics. Have a look at it now. Travel Templates. When it comes to the collection of travel templates, the system offers decent customizable and mobile-ready themes needed to build websites for tour operators, travel agencies, food tours, tourist companies, hotels, travel blogs, safari rides, travel photographers, yachtsmen and special landing pages for travel companies. Customer Interaction Tools. Wix App Market offers an extensive collection of integrable widgets and extensions that make it possible to effectively get in touch with customers any time of the day (123 Form Builder, Callback, Book Appointments Online, Live Chat, Wix Forms, Google Event Calendar, Events Calendar, Wix Bookings, Scheduling Pro, Inffuse Testimonials, Latest News, Wix Chat, Contact Management +CRM, etc.). Customer Reviews. The system allows integrating widgets and extensions that make it possible for customers to post their reviews and share their comments for the enhanced marketing purposes (Customer Reviews, MyReviews, Comments, Yelp, Comments+, Testimonial Builder, Social Testimonials, Voice Comments+ etc.). Wix Bookings. The app makes it possible to make an appointment, sign up for a meeting, make a payment directly at the website to make your working schedule and your customers’ plans more organized. Cost: For all those users willing to test Wix features for the unlimited period of time, Wix offers a free plan. It is enough to find out everything you need about the functionality of the system prior to upgrading to one of the paid plans. The cost of the least expensive plan constitutes $4.50/mo, while that of the most expensive solution is $24.50/mo. Connection of the domain name is a must for a reputable travel agency website. To do that for free, you should obligatory upgrade to one of the premium plans of your choice. Collection of Travel Templates. The system offers a generous collection of travel-focused responsive themes, which can be easily customized to meet the needs of newbies and web design pros (you can choose between travel agency, mountain hiking or European tour, sea camping, holiday tourism activity, eco-tour, cruise ride themes or select a blank template to design a website from scratch). Rich Widget Collection. uKit offers a pretty nice selection of widgets that come with niche-specific content and are a good addition to any travel website (Online Chat, Social Networking Buttons, Timeline, User Comments, Service Calculator, Timer etc.). CallBack Feature. By integrating the widget, you can give your clients a chance to leave their callback requests so that you could contact them at the most suitable time of the day. Live Chat. With a LiveChat feature offered by uKit, you will stay in touch with clients, who have any questions or need on time online support and assistance. Free SSL Certificate. The website builder makes it possible to connect SSL Certificate feature to enhance the security of the resource and give your travel website the desired credibility level. Cost: uKit has affordable pricing policy, even though, it doesn’t offer a free plan. Instead, the system provides a 14-day trial, during which you can test all the features you are interested in. The cheapest uKit plan costs $4/mo, while the most expensive plan costs $12/mo. Responsive Niche Templates. Ucraft boasts a rich collection of ready-made responsive templates specially designed for travel industry representatives. Third-Party Integrations. If you feel that the amount of built-in elements is not enough for your travel agency website, you can select any third-party integrations that may cover a broad spectrum of promotion, marketing and analytic needs (Intercom, Disqus, LiveAgent, Facebook Messenger, Uservoice, Zendesk Chat, Jivosite etc.). Free Landing Page Creator. To drive user attention and boost customer engagement rate, you can build a landing page for your travel website at no cost at all. Free Logo Maker. The feature makes it possible to create a unique logo for your travel agency website to make it stand out from the crowd and boost its reputation. Multilanguage Support. If you aim at attracting clients from abroad or deal with international partners, multilanguage support provided by Ucraft will be a notable advantage. Cost: Ucraft doesn’t offer any free rates for all types of websites created with the system, except for landing pages. As to the paid options, their cost differs based on the plans and terms they imply. The most affordable subscription will cost you $8/mo, while the most costly plan constitutes $76/mo. If you are not sure about the features each plan involves, the 14-day trial period offered by the website builder will help you adopt the right decision. 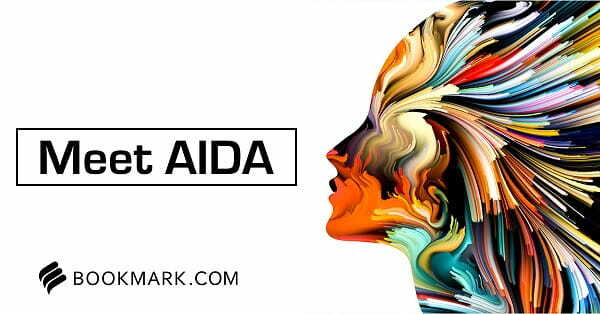 AIDA Assistant. The Artificial Intelligence tool automatically copes with website creation, if you specify the type of a travel website your need and submit all the content you’d like to be displayed. Focus Feature. The system offers a set of ready-made blocks you can select, customize and integrate into your travel website, using the modules like links, texts, quotes, maps, contact forms, social network buttons, feedback and contact forms etc.). Events Feature. The events section allows uploading the upcoming events to your travel website to keep them aware of what’s going on in your business. eCommerce Engine. Bookmark has a decent eCommerce engine, which lets you add a small-to-mid online store to your travel website, where you can sell tours, accessories and other items that are in demand with clients. Cost: The website builder has a free plan and two paid subscriptions. The free plan is enough to test all the features of the system, while paid subscriptions add functionality to your project. To get a paid subscription, you’ll have to spend $11.99 and $24.99 per month correspondingly. There is also an opportunity to make monthly payments, but the cost of the plans will be somewhat higher in this case – $15 and $30 per month. Travel Templates. It is possible to browse free and paid travel templates the system offers as well as those themes, which are available online. Integrable Plugins for Travel Agencies. WordPress is known for its powerful plugin integration options (the most popular plugins you can use for your travel website include PanoPress, Orioly Book Now, Tour Master, WPML Plugin, Polylang, The Event Calendar, WooTour etc.). Customer Interaction Plugins. To ensure rewarding interaction with clients, you can also integrate a number of plugins, such as Easy Social Share Buttons, Client Portal Plugin, Request Callback Plugin, WP Notification Bar Pro, WP Customer Area etc. 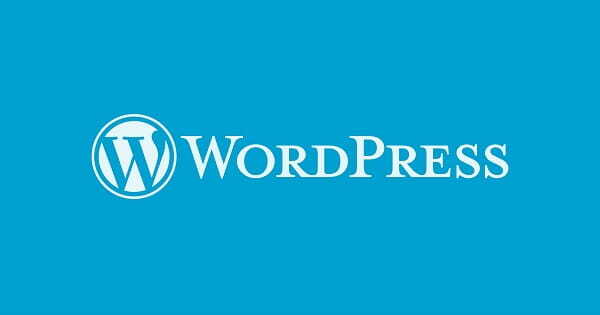 Cost: WordPress is free to download for everyone. You can test the features of the system for as long as you need. Mind that to publish and promote a travel website, you’ll have to buy hosting and domain name for it. The eventual cost will depend upon the terms implied by the plan. For instance, an affordable Bluehost plan will cost you $3.95 per month. Additionally, you’ll face the need to invest into plugin and template integration. Launching a website is essential for any travel agency that aims at effective business development and client attraction. It’s not easy, however, to start and manage a website, especially for inexperienced users. This is where you won’t go without a handy web design tool like a website builder. These systems encompass a variety of features to give your travel website attractive look and outstanding performance. Website builders usually provide a choice of pre-designed responsive templates, an assortment of design customization tools, easy-to-use dashboards and nice SEO optimization parameters. These are the major factors that contribute to decent result. Wix is the best travel agency website builder, which comes with drag-and-drop functionality, intuitive interface, logically-structured dashboard, integrable niche widgets, mobile-ready industry templates and reasonably-priced plans. uKit is the easiest website builder you can use to launch a website for your travel agency. The system comes with drag-and-drop functionality, easy website navigation, logically-structured interface, rich selection of niche templates and affordable pricing policy. 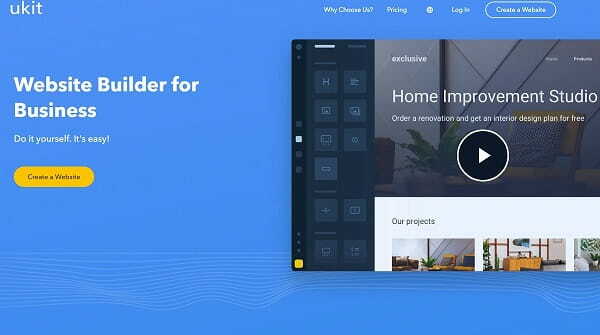 Ucraft is a simple, feature-rich and user-friendly website builder, which offers multiple advantages like customizable and responsive travel templates, designer tools, blog connection options, landing page creator, logo maker etc. This is a nice choice for a travel website. Bookmark is an advanced and impressingly functional website builder, which comes with the AI tool and lets you design a full-featured travel agency website in no time and at reasonable cost. WordPress is a reputable Content Management System, which focuses on the development of small-to-large projects and offers powerful integration options, web design tools and template choice alternatives. It takes time to master the system, but the result is worth that. It goes without saying that choosing a website builder is a complex task, but it doesn’t have to be a huge problem, if you are ready to invest your time and effort. Systems reviewed in the post are the leaders in the contemporary web design niche and have to be considered first, when making the choice. Take your time to test each of them to find out their characteristics, pros and cons, specifications and implications before adopting the final decision.